The CURT A20 5th wheel hitch offers smoother, quieter towing for your home-away-from-home, combining the patented technology of our A-series, an easier mounting system and the power of a 20K 5th wheel hitch. 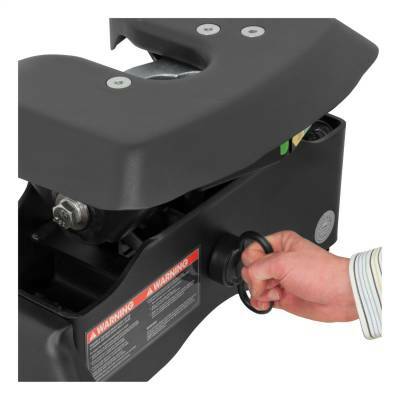 Like our A16 hitch, this 20K 5th wheel hitch uses a patented cast yoke to allow for unimpeded head movement, while providing exceptional stability for the trailer. 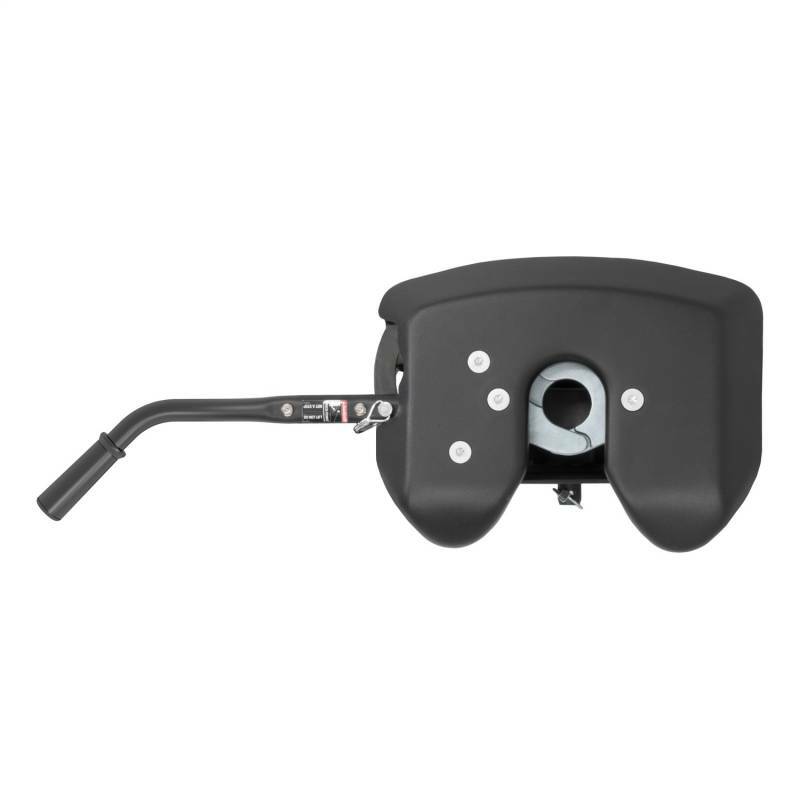 The yoke has a set of poly-torsion inserts to suppress shock loads and reduce excessive noise, and the head features high-strength, interlocking jaws to give the trailer stability and the freedom to pivot and swivel as needed. This A20 5th wheel hitch also comes with a set of CURT OEM puck system 5th wheel legs designed to be mounted on a Nissan Titan XD truck with the truck bed puck system. The legs mount directly into the four-point mounting system, allowing the CURT A20 hitch to be installed quickly and easily. 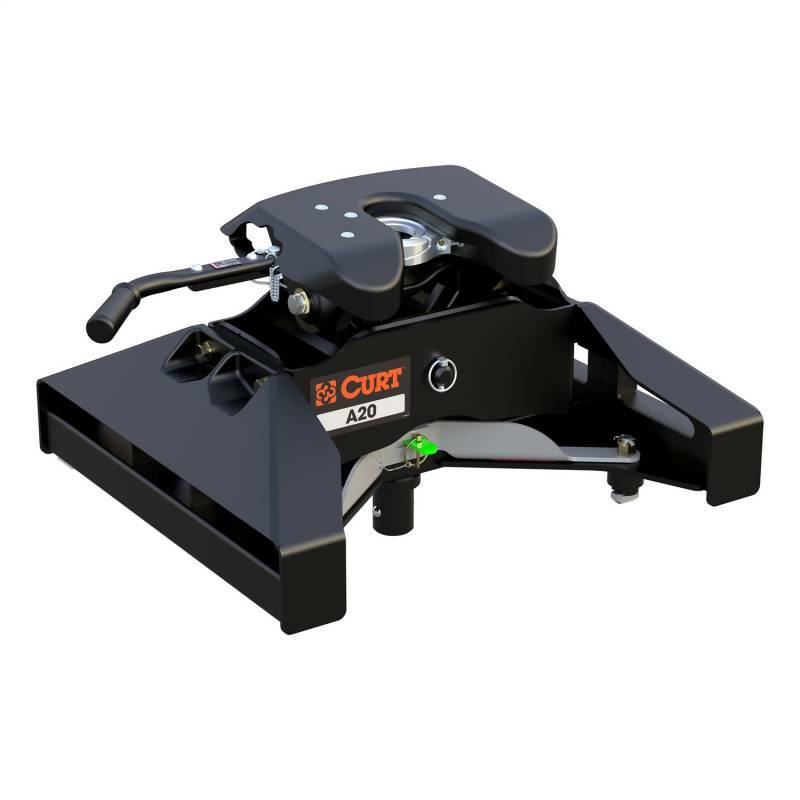 The most unique feature of these legs is their quarter-turn anchoring system. 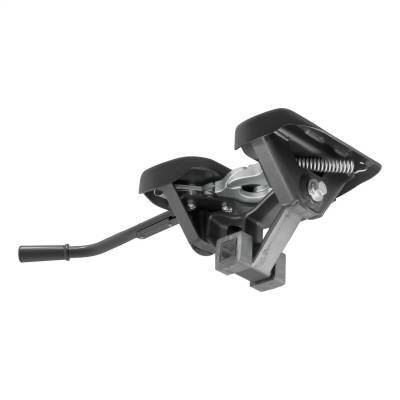 The variable-position anchors allow the 5th wheel hitch head to easily drop into the puck system, and with a quarter-turn, the hitch can be installed or removed as needed. 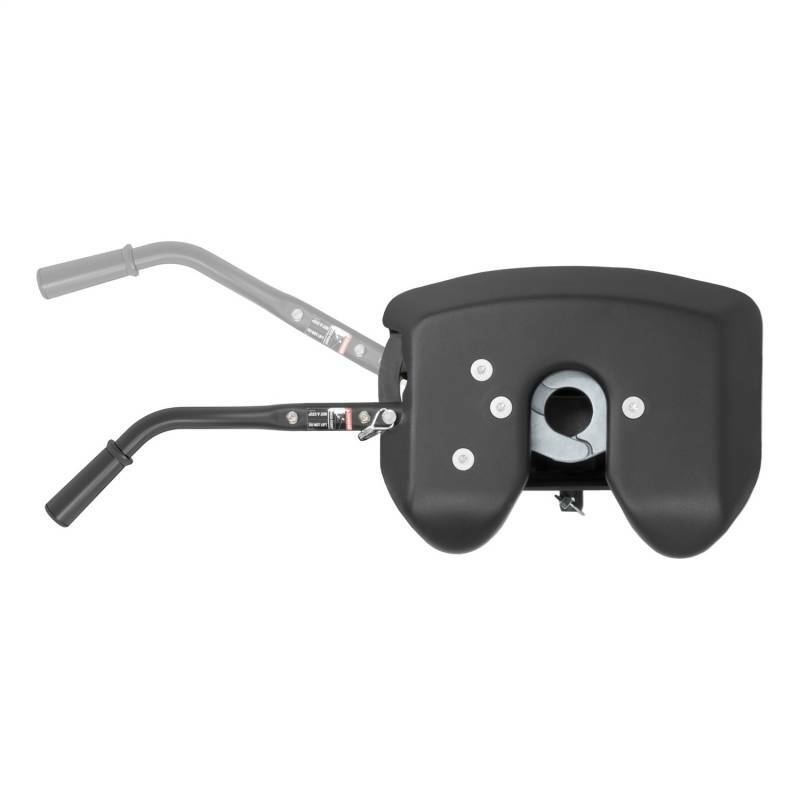 The anchors can also be adjusted to eliminate any chucking noises. 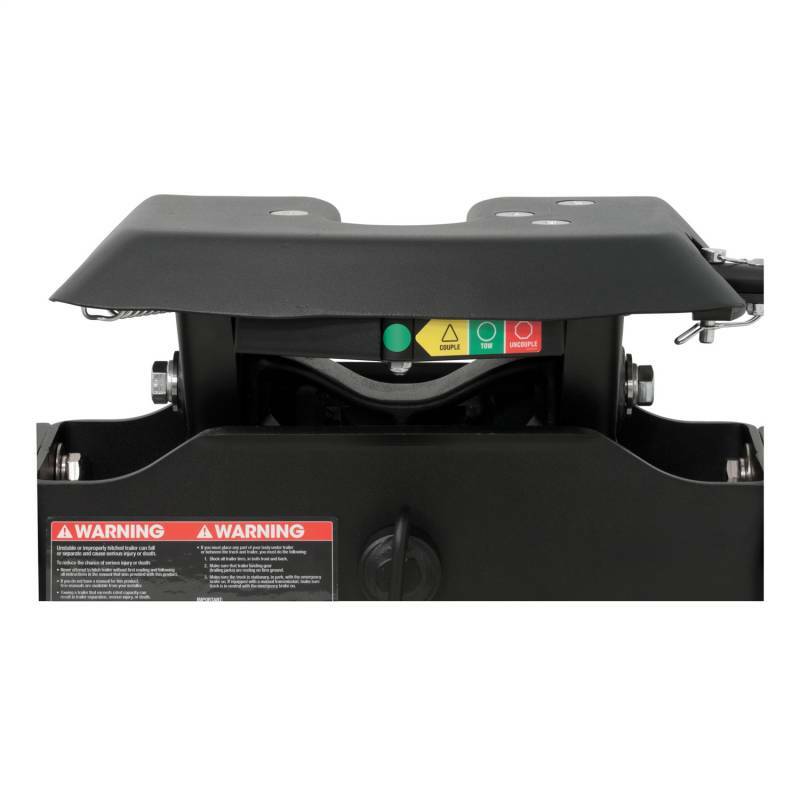 Once installed, the A20 is fast and simple to operate. 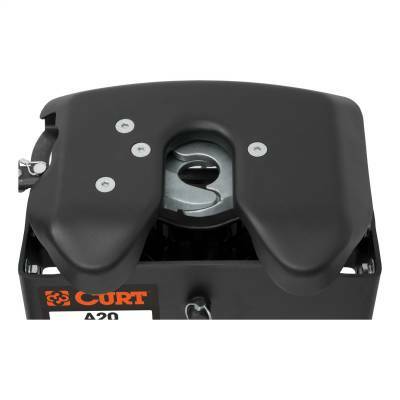 It has a lockable, single-throw handle that self-resets to the ready-to-couple position after uncoupling, and it is equipped with a coupling indicator that is visible from the truck cab. 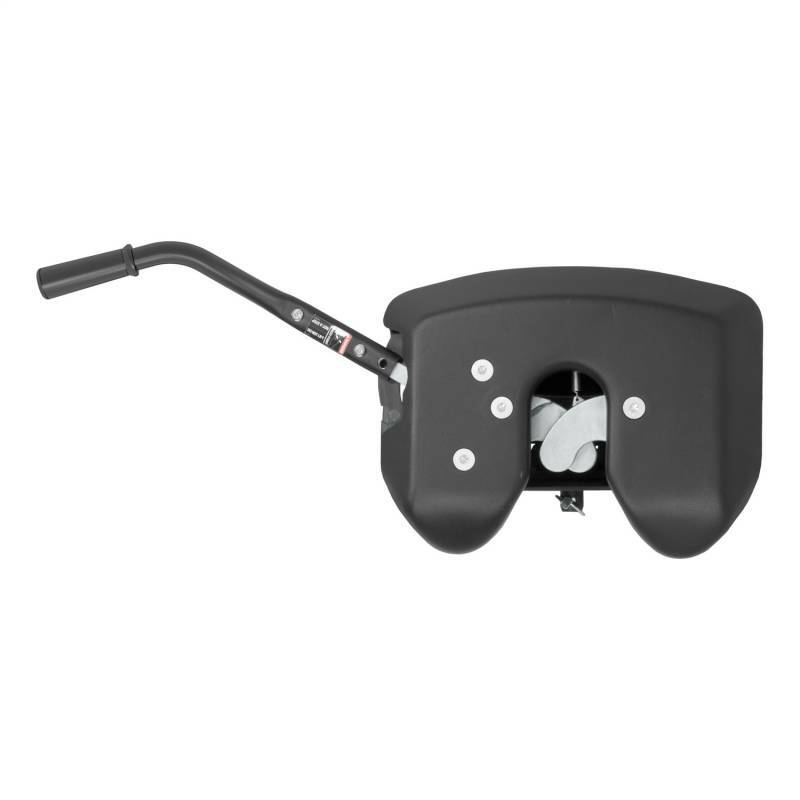 To protect the A20 5th wheel hitch against rust and wear, it comes with a black carbide powder coat finish and a limited lifetime warranty. We also test the A20 for safety in accordance with SAE J2638 standards to ensure reliability for the road ahead.